These high-tops are a fiery explosion of skulls, spines and bone, dripping in melting lava and blue flames. When you wear this awesome depiction of two blue blazing skeletons, people will double-take as you walk by. 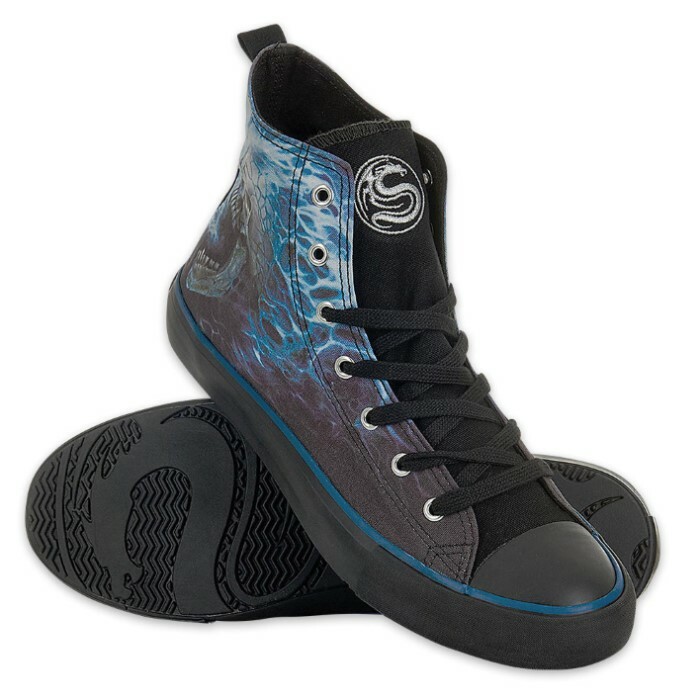 The high-tops are made of top quality 100% cotton canvas with vulcanized rubber soles. 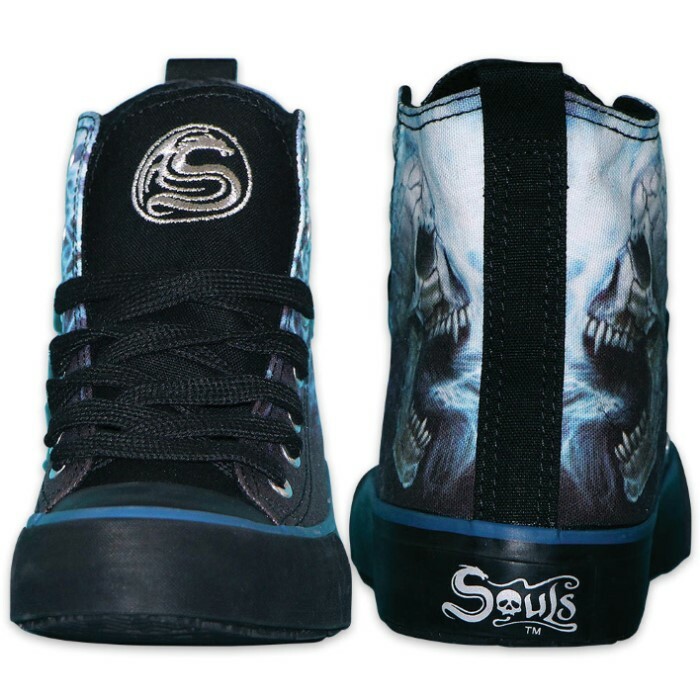 You also get a Free Souls drawstring bag, rubber sticker and second lace option with the sneakers. 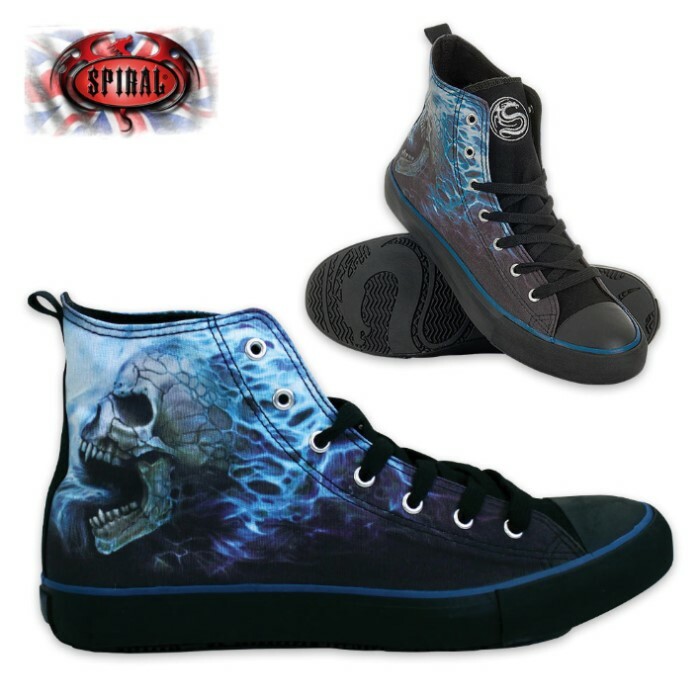 They come in sizes 8, 9, 10, 11 and 12.